While alchemy has strained the credulity and pocketbooks of many Europeans since its general appearance in the 16th and 17th centuries, it has also held a fascination for a fair number of prominent and not so prominent Americans as well. Most of us are familiar with the writings of Thomas Vaughn, Paracelsus, Bacstrom, and dozens of other authorities on the Royal Art, yet it was from colonial America, that one of the most famous and mysterious Alchemists arose — Philalethes. It is among the apocalyptic Pietists of Pennsylvania, said to have been Rosicrucians fleeing the religious wars of Central Europe, that we also find hints of laboratory alchemy being practiced in their wooden, gothic structured cloister, in Ephrata, on the Pennsylvania frontier. Even late in the “Golden Game”, the 18th century that is, the illustrious, even then ivy covered, halls of Harvard was teaching its students the theory of the transmutation of metals. Even the Governor of Connecticut and Massachusetts dabbled with quicksilver now and again as well. Even with the death of New England’s last known practicing alchemists in the third decade of the 19th century, the torch did not completely die out. Less than one hundred years later, H.S. Lewis, Imperator of the fledgling American organization, the Ancient and Mystical Order Rosea Crucis (AMORC), claiming European recognition and authority for its activities, is reported to have preformed a public transmutation of zinc into gold. By the mid 1940’s this same organization, using its newly formed Rose+Croix University, situated in the lush valley of San Jose, California, would be the only known location where the public study of laboratory alchemy was taking place. With a little bit of help from a major corporation or two as well. 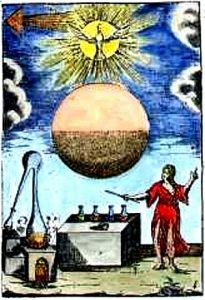 While this re-birth of laboratory alchemy was short lived, out if it came the now famous Paracelsus Research Society, founded by “Frater Albertus”, a new series of AMORC classes in the mid to late ’80’s, and the latest addition to American alchemical studies, the Philosophers of Nature. The 17th century world view of America was of a magical land, filled literally and figuratively with gold. It was from this world, not that of an old and rigged Europe, that one of the most mysterious and renowned of alchemical figures. In fact, one who is often called that last of the great alchemists, Eirenaeus Philalethes, better known as, the Cosmopolitan. His first work The Marrow of Alchemy, Part One, appeared at London in London in 1654. It was published by E. Brewster, with the manuscript and publication being printed in English; Part Two was published the following year. Because George Starkey edited the first edition of The Marrow of Alchemy, it has been suggested that he was its author, along with the remainder of the 16 groups of alchemical publications attributed to “The Citizen of the World”. While much of the evidence is circumstantial, it comes from contemporaries of both men. Care is given to distinguish between those works on alchemy by Starkey himself, and those whom he attributes to his mysterious New England Adept, the Cosmopolita. However, as Jantz suggests in his article, “America’s First Cosmopolitan”, could Starkey have written the Cosmopolitan works while in a heightened state of consciousness? Where they the result of his own transcendental awareness as part of the alchemical process? While such is only speculation, what cannot be denied is that Philalethes is an American original, an adept in the now classical alchemical tradition, even being referred to as the “American Philosopher” on the second title page of the Amsterdam edition (1678) of his second group of works, Enarratio Methodica. So then, was Starkey actually Philatheles? If we accept the evidence, then probably yes. In the anagram of two of the principle characters in Vade Mecum, the name of the pupil, Philoponus, and his mentor, Agricola Rhomaeus, we discover that in Latin, Agricola become Georgios in Greek, and the Greek Rhomaeus becomes Stark, or Strong, in Anglo-Saxon[iii]. Does it matter? Probably not, except to historians of esoterica, and other people with too much time on their hands. For practical alchemists all that is of importance is the practicality of the information supplied. Whether or not there was a person behind the persona of the Cosmopolitin is as important as asking the same of his more modern European counterpart Fulcannelli. [iv] At some point the personality must die, so that the Light may shine unobstructed, this is a fundamental tenet in esoteric teachings. Maybe in the end, Starkey actually was, and became, the Citizen of the World. But Starkey wasn’t alone in his search for the Philosopher’s Stone. Among his contemporaries was Christian Lodowick of Newport, Rhode Island. This former Quaker, mystic, physician, musician, and mathematician was also an alchemist. Not surprising, as Newport was a major trading post, being honored with not only a large Quaker congregation, but also the oldest continually operating synagogue (Turo) in the United States, and one of the oldest Masonic lodges as well. Lodowick was an important philologist, particularly his English-German dictionary and grammar becoming standard throughout most of the 18th century. Several famous New Englander’s returned to Europe, among them Thomas Tillman. Tillman made contact with a group of German Anabaptists in England and eventually went to the Continent with them. Jantz proposes that Tillman’s poetic influence may have eventually returned to America through the writings of Conrad Beissel and the Ephrata Cloister. This is not unrealistic, as members of the Cloister went as far north as Rhode Island in search of contacts and converts. A group who, was for a while, deeply involved in laboratory alchemy. Even with this semi-constant flow of ideas, trade, and people between the colonies and Europe, the chemical discoveries of the 18th century did not spell the end of alchemy in New England as they had across the sea. The Philosopher’s Stone was still actively being pursued in New England until the third decade of the of the last century[vi]. With at least a half-dozen researchers being known throughout Connecticut and Massachusetts, most of them being graduates of Yale or Harvard. Among them was Samuel Danforth, born at Dorchester, Massachusetts in 1696, and graduated from Harvard College in 1715. Among the texts used during his stay at Harvard was included the curious manuscript Compendium Physicae by Charles Morton. Morton, a Puritan, received his M.A. from Oxford in 1652, and emigrated to Massachusetts in 1686. His Compendium was a strange blend of the science of the period with Aristotle. A lengthy section was devoted to the “Artifice of Gold by Alchymy” or “the finding of the Phylosophers stone”, even stating, “Some have done it, such are cal’d the Adepti”. He listed among them, Lully, Paracelsus, and his disciple, van Helmont. Danforth began his alchemical library as early as 1721, and achieved remarkable success in his life, serving 34 years as a judge and chief justice in Massachusetts. His reputation as an adept prior to being publicly ridiculed in the press in 1754 for his alchemical studies. In 1773 he wrote to his long-time friend Benjamin Franklin offering to send him a piece of the Philosopher’s Stone. It is important to note, that while Franklin himself had no known interest in laboratory alchemy, he knew several active practitioners, as well as the leading members of the Ephrata and Fairmount Park Communes. He served not only as a focal point for American esoteric activities, but was also a major connection to English and French esoteric societies as well. With his death in 1777, his son, Samuel Danforth, Jr. inherited his books. However professional pressures of his medical and scientific careers forced him to donate his father’s books to the Boston Athaenum in 1812. The books are signed by both Danforths, and are heavily annotated, showing more than three-quarters of a century of study. Among the twenty-one volumes were the much standard works to be expected, as well as Philalethes’ Secrets Reveal’d (London, 1699). However, the most distinguished supporter of alchemy was probably Reverend Ezra Stiles. Born at New Haven, Connecticut in 1721, he graduated from Yale in 1746, served as tutor until 1755, and was president of Yale from 1778 to 1795. In 1775 he accepted the position of minister to the Second Congregational Church of Newport, Rhode Island. Stiles was also a friend of Benjamin Franklin. While he made remarks concerning “the Rosacrucian Philosophy” that interested his contemporaries, Stiles himself disavowed any knowledge of practical alchemy or ever having witnessed any aspects of it. Yet shortly after his disavowed of such knowledge, Stiles participated in several experiments of his own. Stiles even repeated the legends of Governor John Winthrop, Jr. which recounted him as an “Adept” who performed alchemical operations each year at his mine near East Haddam, Connecticut along with his associate Gosuinus Erkelens. With the advent of religious liberty in colonial Pennsylvania and religious wars in Central Europe, it is little wonder that so many Germans came to the New World in the 17th century. William Penn openly recruited many, and others simply went on their own, and among them were the Pietists. These quasi-mystical, semi-magical, often secretive, and usually apocalyptic groups settled in two main communities in Pennsylvania: the Wissahickon Valley, in present day Fairmount Park (Germantown), Philadelphia, and farther west in Ephrata. It is to the latter group that we turn our attention, for it is there, in Ephrata, that we have some of the clearest information regarding the extent and degree of Rosicrucian and alchemical practices of these communal mystics. While the degree, if any, of these Anabaptist Pietists being influenced by Rosicrucian philosophy has been debated, they definitely were influenced by hermeticism in general, and for at least a period, experimented with practical alchemy. According to E.G. Alderfer, in his work, The Ephrata Commune: An Early American Counterculture, Conrad Beissel was born in 1691, in the strategically located town of Eberback, on the Neckar River, in the political domain of the Electoral Palatinate. The day given is usually March first. Conrad was incredibly magnetic, and despite his pale, frail, and thin appearance, women swooned in his presence. His reputation and rumors of his magia grew. By twenty-five he was initiated into the “Ancient Mystic Order of Rosea Crucis”[vii] and may have even attained its highest rank. He was familiar with the writings of Beohme, Paracelsus, and kabbalah. Utopian, mystical, and secret societies abounded, and their was much cross fertilization of ideas and membership. Yet, despite distrust and suspicion, and even charges of being crypto-catholics, Beissel permitted the formation of a chapter and chapter house for the Brotherhood of Zion. The building was raised in May of 1738, was occupied under great ritual solemnity five moths later, and building was completed in 1743. It was three stories high, with the first floor being used partially for storage, the second floor being the sleeping temple area, circular in shape with no windows, and the third floor being 18 feet square and the main temple area, with a window in each of the cardinal directions. It was here in this building, that the members of the Brotherhood, up to thirteen at a time, for 40 days, enacted their secret rites of spiritual rejuvenation, but only after physical rejuvenation had been completed. It was the these rites of physical rejuvenation that employed alchemical medicines. Beginning on the full moon in May, a 40 day seclusion began, which included fasting, prayer, and the drinking of rain water (collected in May), and laxatives. On the 17th day, several ounces of blood were removed and a few white drops of an unknown substance given to the participating neophyte. Six drops were to be taken in the evening, and six in the morning, increasing two drops per day until the 32nd day of seclusion. At sunrise on the 33rd day, more blood was removed, and the first grains of the materia prima was given. The effects of the ‘grain of elixir’ was instant loss of the powers of speech and recognition, with convulsions and heavy sweating. After these subsided, the bedding was changed, and a broth made of lean beef and a variety of herbs was given. On the second day, a grain was added to the broth repeating the above symptoms, and upon which “a delirious fever set in which ended with a complete loss or shedding of the skin, hair and teeth of the subject.” On the 35th day a bath of prescribed temperature was given, and on the following day, the 3rd and last grain of the materia prima was given in a goblet of wine. The effects of the final dose were much more mild, resulting in a deep sleep during which the skin, hair, and teeth reappeared. On awakening from this ordeal, an herbal bath was give, and an ordinary bath (with saltpeter added) on the 38th day. On the following day (the 39th) ten drops of the elixir of life were given in two spoonfuls of red wine. This final dose was known as the ‘grand master’s elixir’ or balsam. On the 40th and final day, the initiate was said to have been reborn into primordial innocence and capable of living 5,557 years with the grace of God before being called back to the heavenly lodge. The process however, had to be repeated every forty years in the month of May if this were to happen. Unfortunately, we know neither the contents of the elixir or the herbs administered as bath or broth for this ceremony. It is also very likely that such a recipe or listing may be sitting somewhere, written in Old German, or even frakture script, in a local historical society somewhere in Eastern Pennsylvania, with no one being able to read it, or know the meaning of its contents otherwise. We know at least one recruit, from the Shenandoah, Jakob Martin, set up an alchemical laboratory at Ephrata. He attempted to transmute gold for the establishment of the New Jerusalem, as if gold were needed for such a task. While Martin’s efforts were in vain, his close friend Ezekiel Sangmeister, leader of an anti-Beissel faction, claimed that his friend and founder of Universalism, George de Benneville, possessed a large supply of the gold tincture. However, this appears to be near the decline of the Commune, and any real knowledge of practical alchemy may have left with the departure of the Eckerling brothers. The Brotherhood of Zion was reconstituted as the Brotherhood of Bethania, and any trace of Eckerling influence was removed from Ephrata before the first half of the 18th century was over. 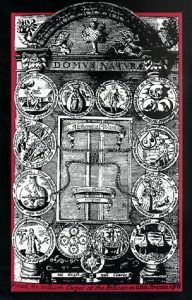 [i] Alchemical Works Eirenaeus Philalethes Compiled, ed. S. Merrow Broddle, CINNABAR, P.O. Box 1930, Boulder, CO. 80306-1930. P. xix. [ii] “America’s First Cosmopolitan” by Harold Jantz. Proceedings of the Massachusetts Historical Society, 84 (1972), p.9. [iv] The Fulcanelli Phenomenon by Kenneth Rayner Johnson. Neville Spearman Ltd., Sudbury, Suffolk, England. 1980. [v] “The Alchemical Library” of John Winthrop, Jr. (1606-76) and his descendants in Colonial America” by R.S. Wilkinson. Ambix 10 (1962), p.135. [vi] “New England’s Last Alchemists” by Ronald Sterne Wilkinson. Ambix 10 (1973) p. 128. [vii] The term “Ancient Mystic Order of Rosea Crucis” is used here by Alderfer and does not originate with its more popular use by AMORC of similar name. It may even have been used by a Swiss group prior to the twentieth century. [viii] The German Baptists of Provincial Pennsylvania, by Julius Sachse. 1898. [ix] The Complete Writings of Paracelsus ed. A.E. Waite. Mark Stavish is a long-time student of esotericism and has written over a two-dozen critically received articles, book reviews, and interviews on western esoteric philosophy and practices. Email: MrkStavish@aol.com. Website: www.hermetic.com/stavish. Copyright 1996 Mark Stavish, All Rights Reserved. It is among the apocalyptic Pietists of Pennsylvania, said to have been Rosicrucians fleeing the religious wars of Central Europe, that we also find hints of laboratory alchemy being practiced in their wooden, gothic structured cloister, in Ephrata, on the Pennsylvania frontier. Even with this semi-constant flow of ideas, trade, and people between the colonies and Europe, the chemical discoveries of the 18th century did not spell the end of alchemy in New England as they had across the sea. The Philosopher’s Stone was still actively being pursued in New England until the third decade of the of the last century. Does art reflect our reality or does our reality reflect our art? The human imagination has kindled a plethora of ideas that have manifested into real structures – buildings, bridges, cars, and new technology. In addition, humans simulate realities that are akin to desires, wants, needs by producing music, art and literature. Does the reception of our thought patterns elucidate our visual pictures? Or does the perception of those visual pictures that surround us in our daily lives create the thought waves that then signal the internal screen for playback in the imagination? However we choose to describe it, we must try to grasp the fact that we are attempting to dissect a process that is in a constant state of flux. I have been active in the arts for over twenty years, and I propose that art is one of our best tools to transform reality. For instance, as a playwright and poet, I have found the elements of language, words, certain sentences, and even the letters that form the words to be my internal tracking system. I have defined art as it spells itself out: All Realized Truth. Still that means not much more than a word game – making life nothing more than a giant game of Scrabble. Or does it help us to create some sort of synthesis between our dreams and our realities? Let’s take a closer look. Like scientists examining a culture of bacteria in a petri dish, we need to scrutinize how the first cells of art and culture start to form. A thought drifts into the human mind. As each thought enters the body it vibrates into a “feeling.” As the thought passes through its feeling stage, it collects the energy to move into action. However, psychology tends to reverse this pattern, looking at behavior from the action stage, back to the feeling, and then to the thought stage. I propose that through examination of the creative process (tracking forward from thoughts into actions) we might be able to avoid much of societal despair. What I am suggesting is that by learning how to engineer the process that creates the art, we can then begin examining the process that constructs the social formations that create our realities. We realize that the disaster stories in the nightly news can document our reality into fiction – and our fears into a potential for even more disasters. Perhaps we need to find an approach that will be able to transcend the limits of ordinary reality, one that lets us break through the barriers of time and space. It is then possible to bridge the gap between the real and imaginary, between sociology and art, with a new set of blueprints and patterns of words? We know that words effect us; they make us think and they make us feel certain ways in certain situations. We have seen how the media is using this to its own advantage. And often our media images depict humanity in a somewhat bleak and dismal setting. Yet, could it be that art might be the best deliverance from that possible eventuality? My particular response to this question is to initiate a project called “Formative Stages” that explores the purpose, scope and nature of the creative process. This is my PhD project at the Carnegie Mellon University, and once developed, it will be offered as an interdisciplinary option for students enrolled in any course that involves a final creative element. Students are invited to participate in a theatrical performance, where there is no preexisting understanding of what he or she is forming. The creator arrives upon the art “form, and begins the “form”ative creative process – re”forming”, con”forming”, de”forming” the work until he or she finds just the correct formula that works as the creative solution. Above all, the theatrical setting forms words into living realities, allowing audiences to think and feel simultaneously, breaking the bonds of alienation and communicating the transformative power of the creative process. I hope to gain further insight on the primordial picture of art by studying the process that weaves words and other elements artistically into a fabric transparent to the “either/or” mentality – until imagination and reality are at last synthesized. Upon completion of my academic work, I plan building a network of new art that will create a brighter reality by the formation of words into living realities. The formation of words in literature employs an unencumbered process. Through the very core of its structure, it permits us to delve into alternative models of human experience. It enables us to be in two realities at once, one real, one imagined. In literature we may find the roots to the same cultural processes used in the development of social structures. I’d like to suggest that the initial link between art and sociology is the movement between. It is thus actualized by the very essence of the conjunction “and” which allows the process of vacillation between them. If cultivated properly, art just might be a deliverance from division. If we can use the ampersand to sculpt society through the artistic process, the divisions will eventually fade. But first, the artistic approach must be accepted into mainstream reality. The business departments, the industrialists must look to the way of the artist, and accept the artist’s way as more than frivolous, recognizing the tremendous transformative power in art. Looking back to the beginning surge of the Industrial Revolution, society started to automate and expand its physical strength through mechanical transformers. Now it must expand its imagination. We need to take a revised look at art as a science, and see the science of life, in its rawest formations breed into art. Maybe the creation of a society that questions the reality of its fiction and the fiction of its reality is only a page turn away. Conceivably it is no longer a question of controlling what is real; instead, is it a question of controlling the market analysis that controls what the individual assumes to be real? Perhaps then, we will able to give birth to the new science that is no longer bipolar in its relations of the art and the social – a new science that is born out of a culture that was modified to be the perfect blend of both fact and fiction. Coni Ciongoli-Koepfinger is a doctoral candidate and Staff Assistant in the Office of the Assistant Dean Of Student Affairs at Carnegie Mellon University in Pittsburgh, Pennsylvania. The formation of words in literature employs an unencumbered process. Through the very core of its structure, it permits us to delve into alternative models of human experience. It enables us to be in two realities at once, one real, one imagined. In literature we may find the roots to the same cultural processes used in the development of social structures. Click on album cover to order. This remarkable work by composer/pianist Seth Osburn has been receiving standing ovations at live performances from Kansas City to Los Angeles. Members in the audience at a recent performance at the Philosophical Research Society in Los Angeles hailed it as “breakthrough metaphysical music” and compared it to the “transformative music of the spheres.” In the Renaissance, composers such as Bach and Mozart attempted to write music that when listened to would “perfect” the soul and spirit of the listener. In that same esoteric tradition, Seth Osburn has created an imposing opus based on the seven stages of transformation as revealed in the ancient Emerald Tablet. The composition ranges from shocking to soothing, from the initial cacophonic intensity of Calcination to the broad and deep harmonies of the final Coagulation. Seth is a complete master of the piano. He plays with such a physical and emotional intensity that the piano produces deep resonating sounds that most people would have never have expected from the ubiquitous instrument. These powerful chords carry the vibrational energy of alchemical transformation, the archetypal signatures of the pattern of change embedded in the universe. This young composer has obviously lived these processes and has successfully translated them into the popular vernacular of music. Just listening to this remarkable recording is a soul-shattering and spirit-raising experience. Whether used for intensive meditation or just transformative background music, simply listening to this work will elevate you. Wherever and whenever it is played, this musical Philosopher’s Stone will turn the lead of everyday life into gold. Highly recommended! Comes with 8-page insert explaining the operations with a copy of the Emerald Tablet. For more information, click on the album cover above. “Alchemy for Personal Transformation” is the title of a lecture by Dennis William Hauck to be held in Redwood City, California, on Thursday, August 8, 7-10 PM. Spend the evening with one of the world’s few practicing alchemists, as he reveals ancient methods of transformation and helps you apply them to your own life. Learn how the alchemists worked simultaneously on all three levels of reality – the physical, the mental, and the spiritual – to achieve their transmutations. Seating is limited! The event is sponsored by WAVE (World Achieving Vibrational Evolution) and will be held at the Redwood City Women’s Center, 149 Clinton Street in Redwood City. For more information, email Rev. Maxi Harper atmaxi11@earthlink.net or call (650) 652-4746 (After May 1, the number will be 650-632-1700). Website: www.thewavesight.net . Fee: $10 (payable to Maxi Harper, 2515 Carlmont Dr., Belmont, CA 94002). Alchemy of the Builders. San Francisco, Ca. August 9, 2002. Follow the Hermetic tradition from ancient Egyptian temples to modern Masonic ritual in this fascinating slide lecture with Dennis William Hauck. From the “Hermes Ibis” (Hiram Abiff) of ancient texts, to the building of Solomon’s temple (where the sacred Emerald Tablet was once kept), to the Templars and the “underground” teachings in the modern world, this lecture will unveil many of the lost secrets of freemasonry. Friday, August 9, at the Francis Drake Lodge #376, 307 Walnut Ave., South San Francisco. For more information, email Maxi Harper at maxi11@earthlink.net or contact Dennis Leach at (650) 876-0527. Website: www.thewavesight.net . Alchemy Workshop. Redwood City, California. August 10, 2002. An all-day, multimedia “Personal Alchemy Workshop” with Dennis William Hauck will be held at the WAVE Center in Redwood City on Saturday, August 10. Spend the day with one of the world’s few practicing alchemists, as he reveals ancient methods of transformation and helps you apply them to your own life. Enter the sacred space of the inner laboratory to create the Philosopher’s Stone, an incorruptible state of consciousness the alchemists used to explore and work on different levels of reality. Seating is limited! The event is sponsored by WAVE (World Achieving Vibrational Evolution) and will be held at the Redwood City Women’s Center, 149 Clinton Street in Redwood City. For more information, email Maxi Harper at maxi11@earthlink.net or call (650) 652-4746. Website: www.thewavesight.net . “Alchemy of the Stone: Accessing the Greater Reality” is the title of a lecture by Dennis William Hauck at 11:00 AM on Sunday, July 14, at the Philosophical Research Society in Los Angeles, California. Dennis is author of several books on alchemy and has been a practicing alchemist for over twenty years. Learn to use the alchemists’ own drawings and original meditations to achieve higher states of consciousness to penetrate the Clouds of Unknowing that prevent us from accessing the single source behind the physical, mental, and spiritual realms. Pianist/composer Seth Osburn will be performing his original work “The Emerald Tablet” at the event. Admission: $5.00. Philosophical Research Society, 3910 Los Feliz Blvd., Los Angeles, CA 90027. Phone: 323-663-2167. Email: info@prs.org. Website: www.PRS.org. Crucible 2002: A Gathering of Alchemists. October 12, 2002. Crucible 2002 will be held on Saturday, October 12, in Sacramento, California, USA. The all-day multimedia event presents cutting-edge research in alchemy and spagyrics. There will also be a vendor area offering rare books, recent titles, prints, tinctures, essential oils, videos, audio tapes, and many more unique products. 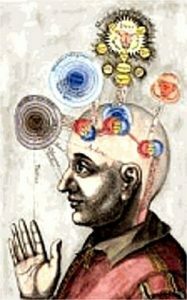 Lecture: “What Is Alchemy?” Classes: “Making Tinctures and Elixirs” and “Meditation Techniques of the Alchemists.” Registration is $79, which includes all lectures, classes, and demonstrations, as well as manuals and materials. To register online with a credit card, click Register Now. Many people in our culture are only seeking to use other people to get ahead in some way — which is why it is called the “rat race.” So seeking is really what makes the world go ’round. If we were not seeking something better all the time, the whole economy would collapse — and so would most religions and spiritual traditions. What is the difference between seeking and finding? Many of us consider ourselves seekers of truth, searching for something deeper and more real than the illusions of the everyday world. As seekers, hopefully, we have developed a certain degree of skepticism about the claims and motives of other seekers. This ability comes down to sensing what other people are really seeking in their lives. If we allow ourselves, we can realize what another person is seeking because it colors everything they do. Or, as the alchemist’s put it, we can read other people’s “signatures” — what they truly carry in their hearts and what motivates them. It is not hard for most people to know when a politician is after your vote or a salesman after your money. It is a little more difficult to know when someone you care about is just after another sexual conquest or when some guru is clothing their enshrined ego in a swath of spiritual soundbites. Many people in our culture are only seeking to use other people to get ahead in the world — which is why it is called the “rat race.” So seeking is really what makes the world go ’round. If we were not seeking something better all the time, the whole economy would collapse — but so would most religions and spiritual traditions. That’s right — we are no better as spiritual seekers if we are always seeking and never finding. We may be “whiter” rats, but we are still in the rat race. The only way out is to use our god-given ability to see what is real, to read the true signatures of people and situations. Only then can we recognize the true leader, the genuine friend or lover, the universal truth. At that point, we must stop seeking and accept what we have found. We have to commit to the higher truth. This is a surprisingly hard step for most people. It is much more fun to play the field, to be constantly seeking and never finding. The Alchemy Journal is posted bimonthly at the Alchemy Lab website on the journal archives page at www.AlchemyLab.com/journal.htm. This page also contains a Directory of Past Issues and an Index of Articles. To subscribe to the journal, send a blank email to AlchemyJournal-subscribe@yahoogroups.com.